DropBox Inc. has some VERY BIG news to share! Mobile Modular Management Corporation recently acquired the Blast Resistant Module (BRM) rental fleet from DropBox, Inc. and will continue to partner with DropBox, Inc. to meet your temporary blast resistant office and storage needs. As a leading provider of modular buildings, Mobile Modular is excited to serve the valued customers of DropBox, Inc. BRM rentals. Mobile Modular currently has 17 locations throughout the United States. WHAT DOES THIS MEAN FOR OUR BRM CUSTOMERS? New business name. The company will operate the BRM rental business under the Mobile Modular brand. You’ll soon see sales, customer service, and billing correspondence under the new name. Additional modular building choices. DropBox Inc. and Mobile Modular can’t wait to show you our customizable modular solutions. From standard classrooms, to complexes and office buildings, we have a variety of sizes and designs for all of your modular needs. We can ship to you. Mobile Modular’s blast resistant modular (BRM) rental fleet serves the lower forty-eight states, providing you access to a larger fleet of modular units. With more modular solutions in the market, we can provide better service in the communities where your business operates. Customer care and billing. If you have an existing BRM module on rent with the DropBox brand, not much will change. You can rest assured that we are committed to providing the same high level of service and support. Your invoices will soon come from Mobile Modular and your remittance address will change. SAME GREAT RATES. SAME GREAT SERVICE. We know great service is your top priority and it’s ours as well. Mobile Modular is backed by a strong financial profile, allowing us the opportunity to invest in new equipment, new solutions, and innovative services to continue to meet all of your business needs. Questions? Visit Mobile Modular at mobilemodular.com/brm or call toll free 866.508.0340 for details, accessories, billing, payments and account services. Mobile Modular and DropBox Inc. are committed to delivering an excellent service experience, high-quality solutions, quick turn-around and reliability. 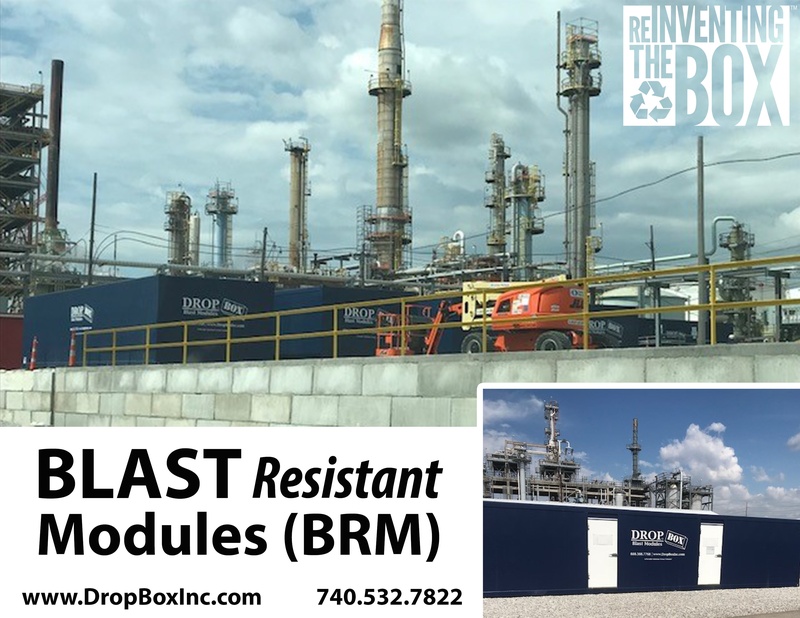 While we encourage our BRM rental customers to CONTACT MOBILE MODULAR about renting Blast Resistant Modules, DropBox Inc. will continue to sell Blast Resistant Modules to end users. 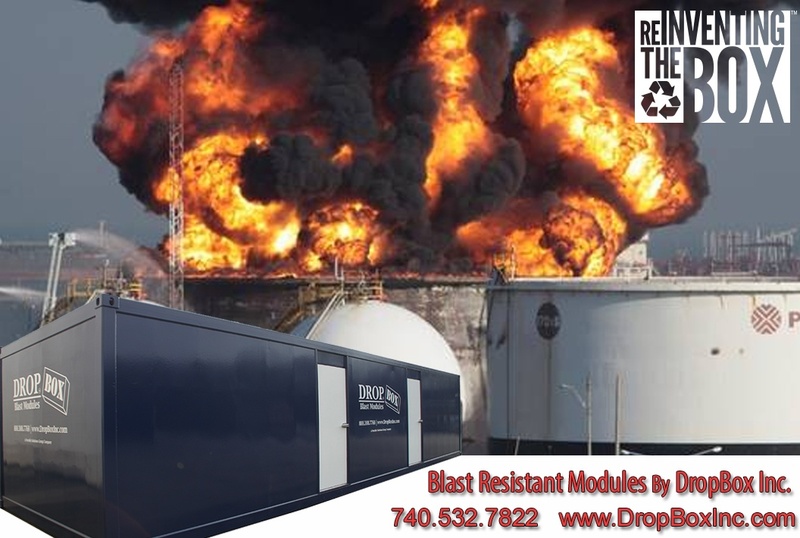 If you are an end user and would like to learn more about purchasing Blast Resistant Modules or any of our shipping container modifications CONTACT US HERE or call us at 740.532.7822. The benefits of shipping container modifications as Blast Resistant Modules (BRM) from DropBox Inc. are numerous. We offer a wide range of floor plans and can ship to anywhere in the United States and around the world. In an effort to make the process as smooth as possible for our customers we offer specification documents, drawings, and can provide the credentials needed to make sure you know what you're getting when you order a BRM product from DropBox Inc. When it comes to developing an expertise in BRMs we have worked with top structural engineers who specialize in ISO shipping container modifications and blast resistance to assess the integrity of our products. 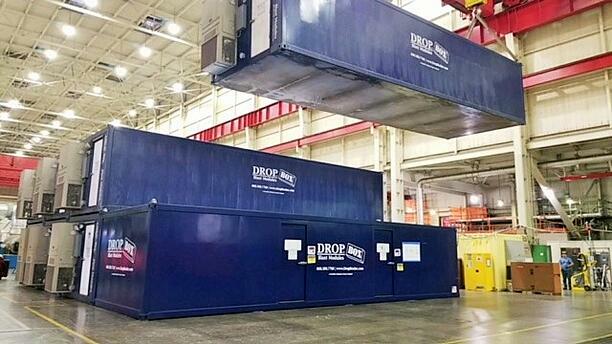 Developed through years of experience in ISO shipping container modifications, DropBox Inc. has closed the gap with major competitors in the industry by providing its brand of portable smooth-sided blast resistant modules that can be used as break rooms, meeting space, and tool/equipment cribs for customers all around the world. 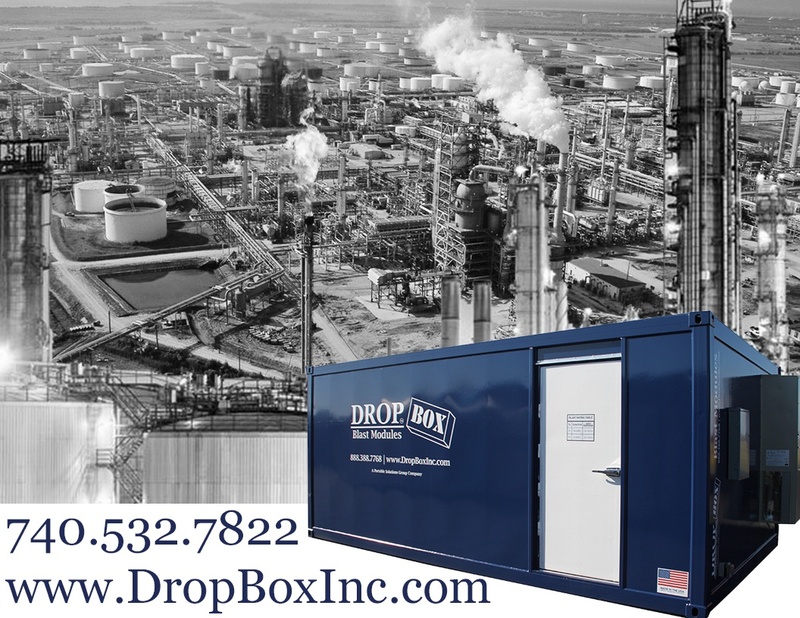 At DropBox Inc. we provide blast resistant modules (BRM) and other solutions for customers in the petrochemical, energy, and refining industries. Our turn-key, portable solutions are designed to meet the inherent risks associated with work in blast zones rated 1, 2, and 3. All of our blast resistant modules are rated for 8.0 over pressure and can be used as portable temporary or permanent offices. They are ground-level and require no major onsite installation like anchoring, steps, scaffolds, or preparations. As long as your site has a level surface of concrete, asphalt, or hard packed gravel, you can have a BRM from DropBox Inc. delivered and in use within minutes of arriving on site. We can provide standard single-box blast resistant modules or custom BRM units from 1 to 8 PSI that come in a variety of sizes, configurations, and floor plans. BRMs are also available in multi-box stackable designs. Our standard BRMs are 12′ x 40′ with an open floor plan, but we can include restrooms and/or offices as needed. 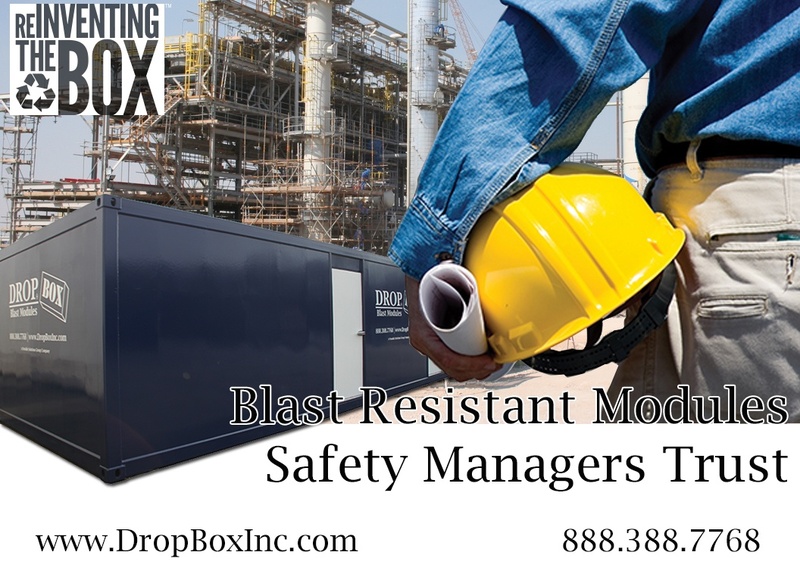 Blast Resistant Modules (BRM) like those built by DropBox Inc. are meant to decrease or eliminate the inherent risk of explosions while working in refineries, power plants, and chemical facilities. We know that the safety and security of personnel on these locations is of great importance to you our customers. Our commitment to the research and development of BRM units has lead DropBox Inc. to engineer portable blast resistant solutions with PSI over-ratings ranging from 1.5 to 8.0. When it comes to developing an expertise in BRMs we work with leading structural engineers who specialize in ISO shipping container modifications and blast resistance to assess the integrity of our products. BRMs from DropBox Inc. are built using all steel ISO shipping containers and/or steel kits as their base and are constructed to perform when and where you need them. Developed through years of experience in ISO shipping container modifications DropBox Inc. has closed the gap with major competitors in the industry by providing its brand of portable smooth sided blast resistant modules that can be used as break rooms, meeting space, and tool/equipment cribs for customers all around the world. We have developed a line of BRMs in standard container sizes ranging from 8' x 20' to 8' x 40' but have also standardized a fleet of 12' wide module for the petrochemical and refining industry. 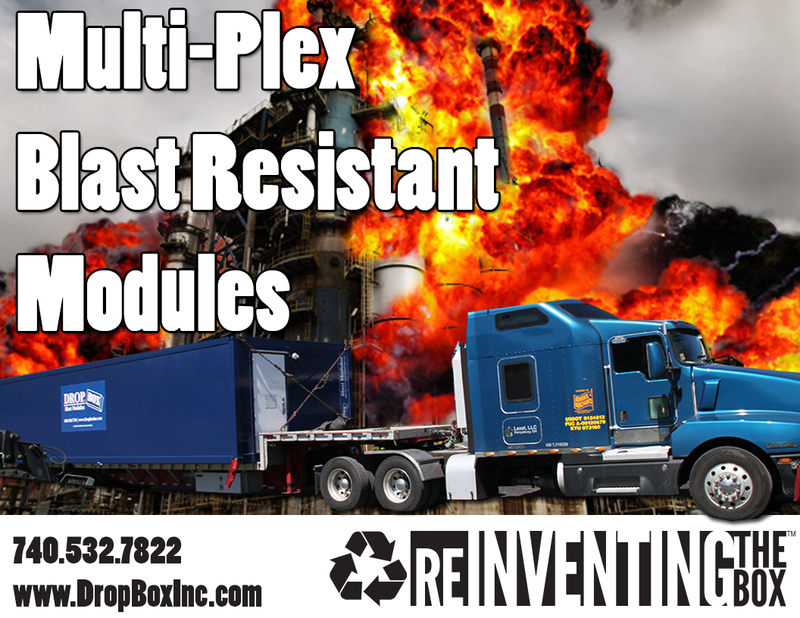 For more information on the Blast Resistant Modules offered by DropBox Inc. feel free to CONTACT US and check back as updates on the company and our products will be featured in our Shipping Container Modification Blog. You can also call us at 740.532.7822. Last week we reported on the installation of Blast Resistant Modules (BRM) at DC Cook Nuclear in Michigan. Today we're going to keep it simple and show a progress photo from the site. With seven of our BRM units place the eighth unit can be seen in this picture being lowered into position. Once set in place scaffolding will go in and these Blast Resistant Modules will be put to use providing break room, lunch room, and meeting space for workers onsite. 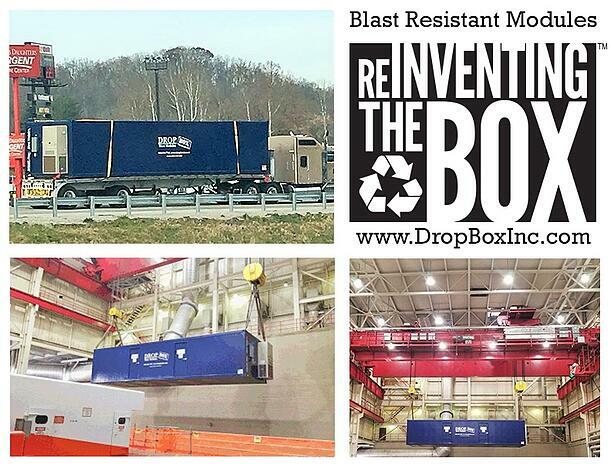 DropBox Inc. offers temporary or permanent blast resistant modules that are available to customers in and around the United States. For over 15 years, DropBox Inc. has been dedicated to creating portable, containerized job site solutions for industrial and commercial construction to customers in the United States and abroad. More recently we have been focused on protecting you and your employees from plant explosions, accidents, severe threats, and hazards that are inherent in the petrochemical industry. DropBox Inc. recently delivered a 40' long, 12' wide Blast Resistant Module (BRM) to DC Cook Nuclear in Bridgman, Michigan. In support of upcoming projects and operations this BRM will be utilized for breaks, meetings, and storage of critical equipment and materials as work continues at the site. Over the past few years DropBox Inc. has worked to build up a sizable fleet of these Blast Resistant Modules for projects at refineries, chemical plants, and nuclear facilities just like this one around the United States. In order to meet the demands for increasing safety on projects where the inherent risk of explosions and blasts are a factor to be considered, DropBox Inc. has worked to engineer, design, and build BRM units that not only meet the safety concerns of customers but that are also functional in the ever-changing work environment of industrial facilities. Equipped with the needed internet, phone line, and cable connections these BRM units like all products from DropBox Inc. are plug and play ready to be delivered, installed, and put to use within a matter of minutes upon arriving onsite. We also offer custom sizes available upon request. Do you have a major project, outage, or turnaround coming up? Are you limited when it comes to space for breaks, meetings, lunch, and tool storage in the blast zone? If so, be prepared to keep your contractors and employees productive and safe on the jobsite with a 20' Blast Resistant Module (BRM) from DropBox Inc. Regardless of whether you need a permanent or temporary BRM, DropBox Inc. has the units you need in blast zones 1, 2, and 3. Our 20' BRM units come with standardized features, or they can include a wide range of custom options including recessed exterior equipment housing, interior and exterior lighting, power distribution, raised flooring, pressurization, combustible gas detection, and fire suppression equipment that will make your BRM suitable for any blast zone job site. Blast Resistant Modules from DropBox Inc. are built using all-steel ISO shipping container components as their base, and are constructed to perform when and where you need them. 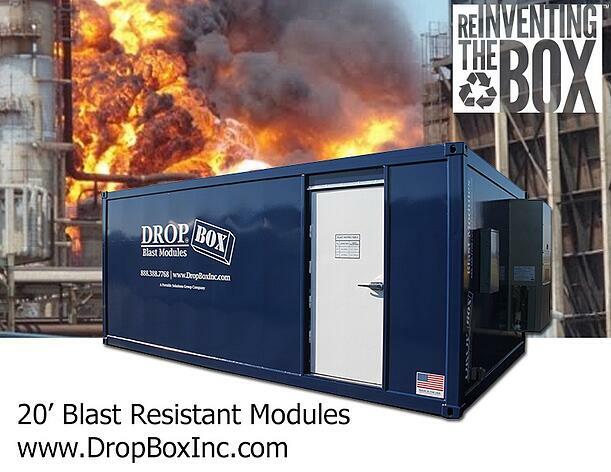 Developed through years of experience in ISO shipping container modifications, DropBox Inc. has closed the gap with major competitors in the industry by providing its brand of portable blast resistant modules to customers all around the world. We have developed a line of BRM units in standard sizes ranging from 8' x 20' to 8' x 40', but we can also build custom size units depending on our customers’ needs.